Loaded with succulent pork, Gaetano Trovato creates a pasta that is perfect for autumnal suppers as the weather cools. 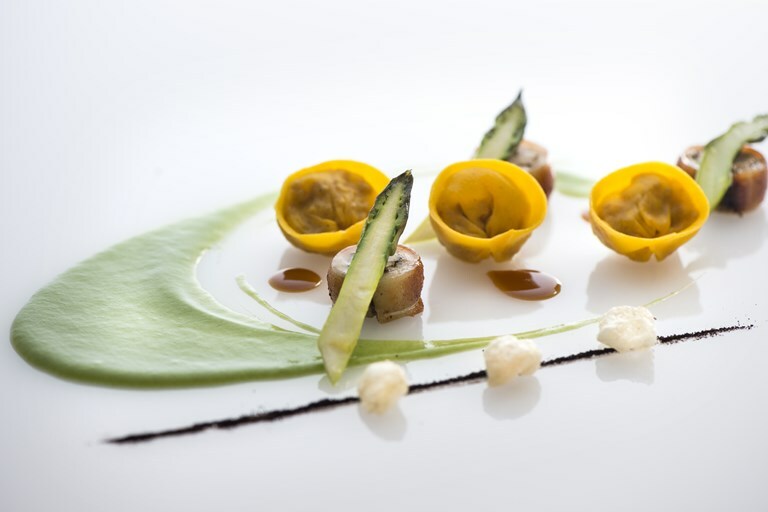 With fresh notes of asparagus and leek, this tortelli dish is capped off with a burst of flavour from a sprinkling of licorice powder. Chef Trovato uses cinta senese pork, a breed native to Siena, Tuscany. If not available, use a locally sourced breed of pig.